An additional 22 banks have joined Swift’s blockchain proof of concept (PoC). 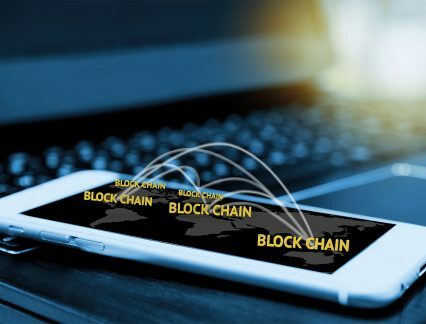 The project is designed to determine if blockchain technology can help banks reconcile their international nostro accounts in real time and is part of Swift’s global payments innovation (gpi). The new banks are: ABN Amro, ABSA, BBVA, China Construction Bank, China Minsheng Banking, Commerzbank, Deutsche Bank, Erste Group, FirstRand Bank, Intesa Sanpaolo, JP Morgan, Lloyds Bank, Mashreq, Nedbank, Rabobank, Santander, Société Générale, Standard Bank, Standard Chartered, SMBC, UniCredit and Westpac. They join the six founding banks, who are ANZ, BNP Paribas, BNY Mellon, DBS, RBC and Wells Fargo. The PoC was announced in April, when the founder banks started working with Swift to identify the challenges and specifications, and to build the application. The 22 banks will work independently to the founder banks, in further testing and validation. On its launch, Swift said that the PoC would be presented at Sibos 2017, which is to be held in Toronto in October. As GTR previously reported, the PoC application will use a private permissioned blockchain in a closed user group environment. It will leverage the technology of Hyperledger Fabric v1, a platform that was released earlier this year. The overall aim of the GFI is to make cross-border payments more efficient and Swift views blockchain as a potentially key part of this. Nostro accounts are those that banks hold in foreign currency in another bank. By making it easier and faster to transfer money in and out of these accounts, international banks will be able to improve their liquidity. At the moment it is difficult to monitor real time nostro positions, due to a lack of intraday reporting coverage. This solution would help remedy this. While many speculated that the advent of blockchain technology in trade finance would spell the end for Swift, the messaging system which has supported trade transactions for decades, the organisation has been proactive in its approach, looking for ways in which blockchain can keep it relevant. Rahul Bhargava, director of payments markets for Asia Pacific at Swift, recently told GTR that he “does not view blockchain as a threat or a business disruption”.